Well hello again! Are you sick of me yet? 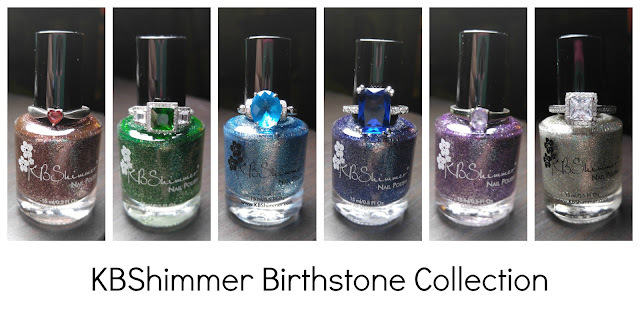 Well too bad because we're not even half way through this series of upcoming WingDust Collections polishes. I've got two more shades comin' atcha today! Again, all polishes are shown on their own (with no base color) and with top coat. "Field of Lions": A lime green shimmery base loaded with orange, yellow, and green matte hexes and squares in several different sizes. 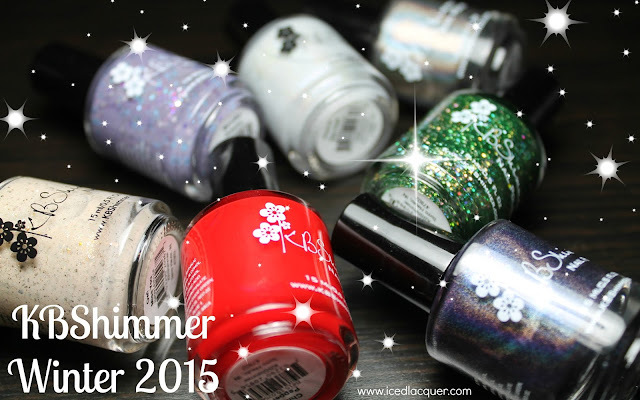 It also features the familiar tiny iridescent hexes that several other polishes have had as well as some medium iridescent squares! Again, this polish had excellent pigment and was easy to apply. I only needed two coats for opacity. 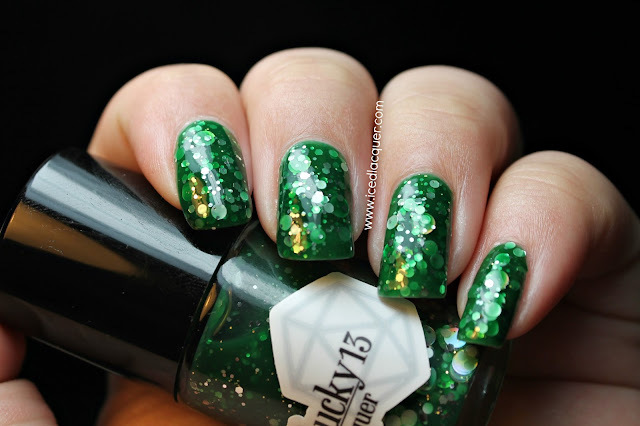 To me, this polish totally reminds me of Tinkerbell! "Sun Spots": A mossy green holographic base featuring huge matte pink hexes, matte pink, yellow, lime green, and bright blue hexes and squares. This one also features those tiny iridescent hexes as well. Like with polish #4 (the sandy gold holographic) the pigmentation in this one wasn't as good as some of the other polishes, but it wasn't bad. I used three coats for coverage here. I like the massive pink hexes, but unfortunately I wasn't able to get any out and onto the nail. So there you have day three! Have you noticed my posting scheme yet? ;) Do you have any favorite colors so far or are you waiting to see some of the darker shades? Make sure you check back again tomorrow to see another two new shades! And as always, make sure you follow WingDust on Facebook HERE and check out the Etsy shop HERE!